Cristiano Ronaldo, Gareth Bale, Rafa Benitez and Anthony Martial are the latest football stars who have had financial figures revealed by Sportsmail’s exclusive extracts from German book Football Leaks: The Dirty Business of Football. The new revelations come in the wake of confirmation that FIFA are probing the fee involved in Paul Pogba’s move from Juventus to Manchester United following Sportsmail’s publication of details from the book, written by Der Spiegel journalists Rafael Buschmann and Michael Wulzinger, co-operating with the Football Leaks website. Ever wondered what it might cost to hire a football megastar like Cristiano Ronaldo for half a day’s work? The answer is £920,000. The book reveals that Saudi telecoms firm and Ronaldo’s Irish image rights company, Multisports & Image Management, agreed a contract for a £920,000 fee in 2013. For that kind of money you get four-and-a-half hours of the Real Madrid star’s time, which comprises a photo-shoot, five signed shirts and two guaranteed mentions on his social media feed. The Saudi firm were also licensed to use Ronaldo’s image from the day for advertising — but only in the Middle East and north Africa, not worldwide. Nevertheless, the huge fee illustrates just how much Ronaldo is worth to corporations and how he has accumulated his fortune. In 2015, Gestitfute, the firm owned by his agent Jorge Mendes, calculated Ronaldo’s total worth and assets to be £190million. The book also details the network of companies in Panama, Switzerland, Bermuda, Hong Kong and the British Virgin Islands that help Ronaldo legally minimise his tax bill from his overseas sponsorship earnings. Just as important as guarding Ronaldo’s fortunes however, is the job of protecting his fragile ego. So when Welshman Gareth Bale joined Real Madrid in 2013, talk of it being a world record £85m transfer fee were dismissed by the Spanish club, given that the previous world record fee was when they bought Ronaldo for £80m in 2009. 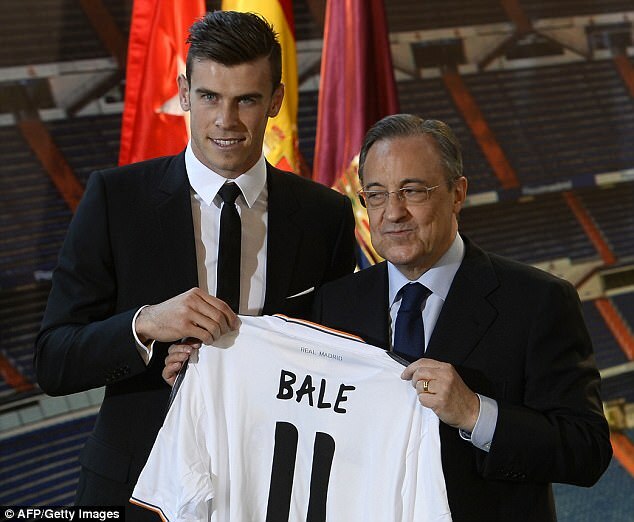 However, the documents reveal a lengthy contract stipulating the details of Bale’s deal and that a press release would record the transfer fee as £77m. But the contract also reveals that the actual cost was really £85m as Real Madrid opted to pay the fee in instalments to Tottenham, taking it to the higher amount, which was a world record at the time. Crucially that was a full £5m more than they paid for Ronaldo. But be sure not to mention it. The 2015-16 season might have ended in the disappointment of relegation to the Championship at Newcastle United for Rafa Benitez — but he was surely the best-paid manager for that campaign. Having started the season at Real Madrid, he was sacked in January 2016 after six months in charge. Documents show that when Real Madrid sacked him, they agreed an £8.5m severance deal. But it got even better for Benitez. 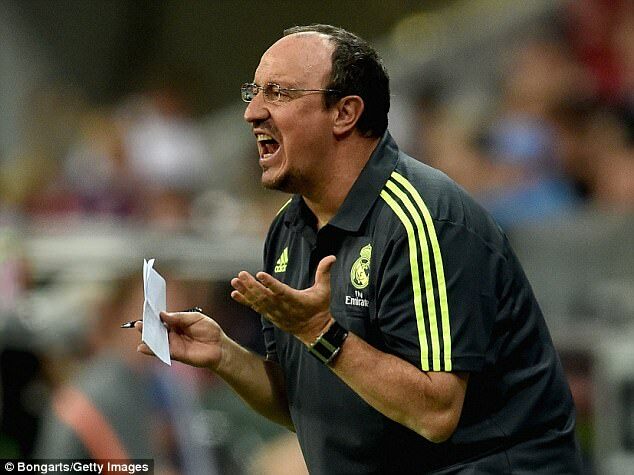 When his successor Zinedine Zidane led the team to the Champions League victory against Atletico Madrid at the San Siro last May, the severance deal meant that Benitez was still due to pick up a £500,000 bonus despite having been sacked. With his salary from the six months at Real Madrid plus the estimated £1m he would have earned for his three months at Newcastle, Benitez’s salary for the year topped £10m. It has been a week of amazing bonus stories for United players Pogba and Zlatan Ibrahimovic. Now there is a third. Anthony Martial has struggled at times and is trying to prove to manager Jose Mourinho that he is more than a bit-part player. But it will come at a cost if he stays at the club and does well. United paid Monaco £42m in 2015 yet three clauses in the deal — one of which has been met and another likely to be next season — mean the cost of the transfer could rise to £67m. 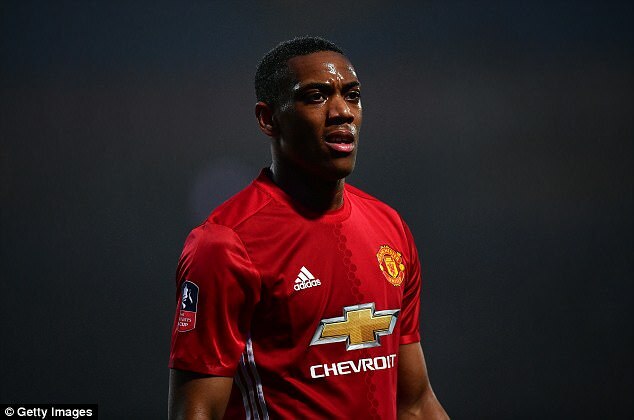 There is an £8.4m clause for scoring 25 Premier League goals — a total Martial reached against Watford in February. There is another £8.4m due when he reaches 25 caps for France and he is 10 away. And should he be nominated for the FIFA Player of the Year award, United have to pay another £8.4m.